Yeah and some logic stuff, also thinking about things like syncable mod sources with reset, kind of a cross between an LFO/envelope and a sequencer. Well that quelled my PO Modular gas and just took it to a whole other level. I have to go lie down. BugBrand stuff is lovely, but it’s not cheap (nor is it over-priced, mind). 3U like euro but based around Frac standards (Paia/Blacet) for power and imperial measurments rather than metric, modules are in multiples of 1FW (each rack is 11FW) so it is easy to not have tiny gaps like in eurorack. 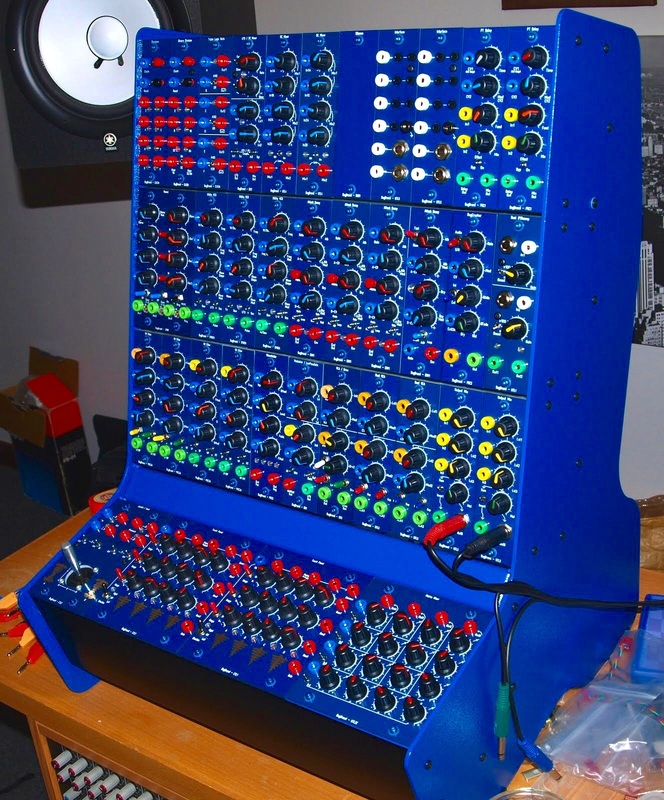 Design-wise it certainly looks cool, but it’s not a modular system - you can’t combine the modules freely. It’s also disappointing that it seems to be pretty basic subtractive synth. Why are there no west coast style ”modules” at all? Would have made it lot more interesting. they are modules actually, the systems just have their own faceplate shared between the modules, it says they are eurorack compatible, must be other options for individual faceplates. Thanks for the correction, that makes it more interesting. Would be cool if the modules came with individual faceplates and could be bought separately. Oh me oh my, yes. It’s the one I’m waiting for too, it has to drop for us doesn’t it? 400 system sold out. Grab a 170 while you still can! 3minutes in, love it already. Great stuff, thanks for sharing here. So how easy is it to break this thing? If I patch things in wrong way? Just the same as Euro I think right? Always line up the red stripe on the power strip when installing modules. That’s not a negative thing about the TE rack, it’s a pretty standard warning elsewhere too if I understand correctly? He sure knows his stuff, but damn those LEDs look bright Nice to see acid returning to Africa, full circle, love it. That’s not a negative thing about the TE rack, it’s a pretty standard warning elsewhere too if I understand correctly? Most modern Eurorack modules have protection against plugging in power incorrectly. It’s not a huge deal, but TE has cheapened out a bit on this IMHO. Yes this is talking about power supply connection, not patching. And yes a lot of euro modules suffer from this problem - the most annoying thing about it is that it is trivial for product dedigners to protect from reverse voltage, and costs pennies to do, yet it is still a thing.